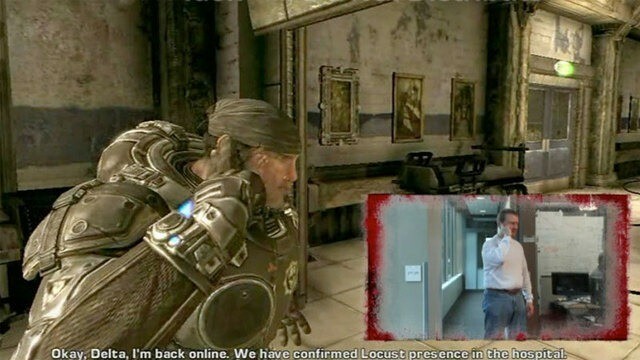 Yes the Gears of War Kinect rumour is back and better than ever. According to a post on Kotaku (the only one you can see thanks to their terrible redesign) Gears of War Kinect is a real title and is currently in development at Epic. The screenshot sent through to them has Marcus touching himself while the player does the same thing. What makes this rumour even more definitive is that once Kotaku posted up the article they were contacted by a trusted source who claims that the screenshot below isn’t valid anymore and is from an older concept demo and will no longer accurately represent the final product. Personally I think the idea stinks and while I would love to see how a harder core title will fare on the Kinect I am insanely worried about them destroying one of my favourite games even further. Gears if harsh, gritty and testosterone packed, prancing around the lounge while taking pot shots at Locusts on rails isn’t testosterone packedâ€¦ not at all.